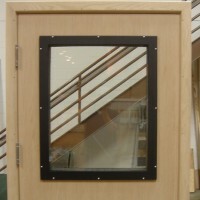 ASI is proud to offer the markets first affordable soundproof interior door. 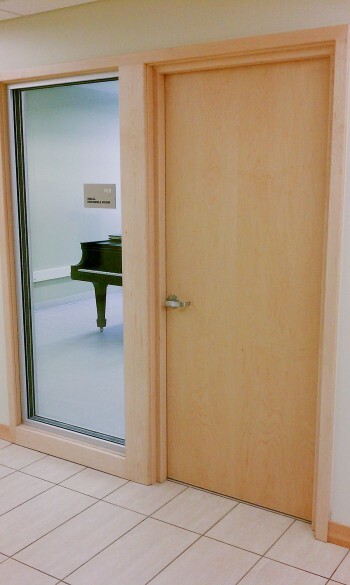 Our recording studio doors have an STC value up to 56. 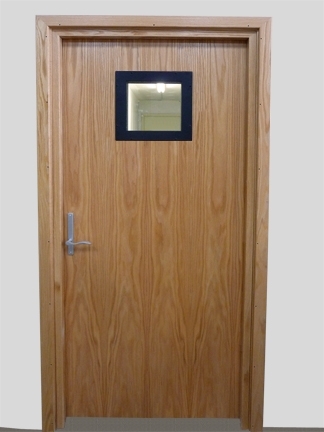 The Studio 3D soundproof doors are ideal for recording studios, offices, band rooms, hotels, dorm rooms, conference rooms or any application where a soundproof interior door is required. 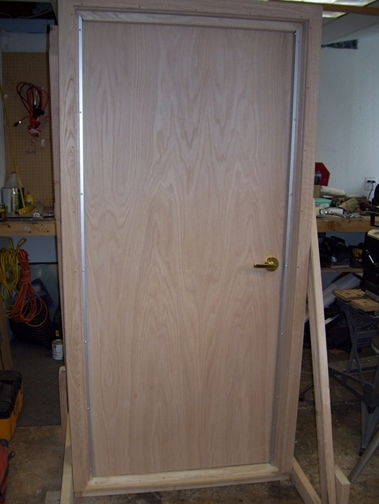 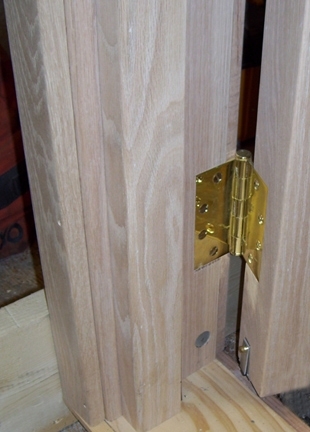 The soundproofing doors come standard in oak, ready to stain with silver hardware. 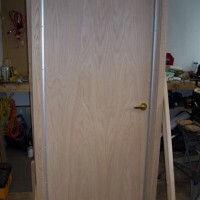 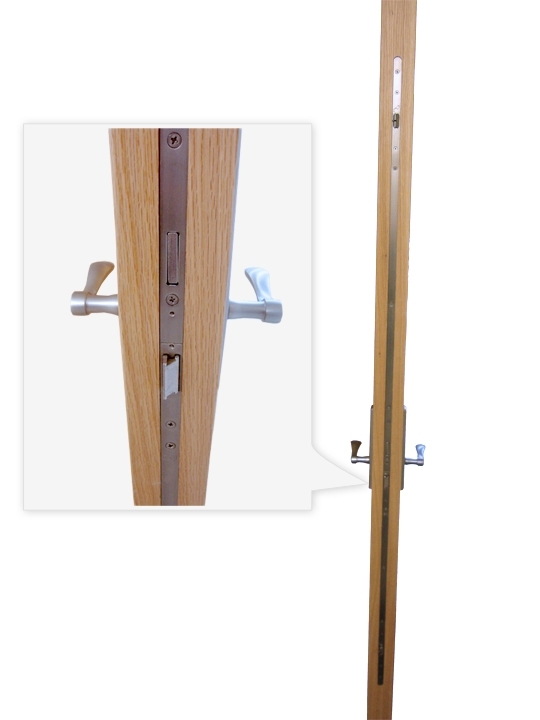 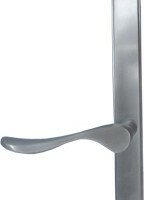 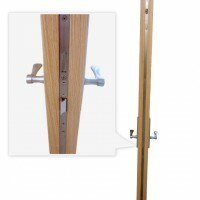 Custom finishes and hardware options are available for this door sound insulation product. 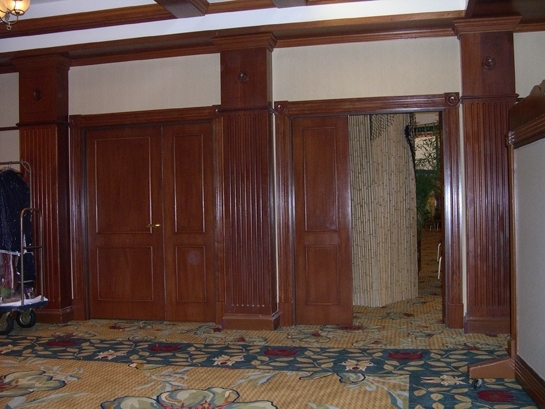 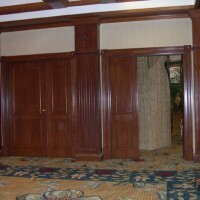 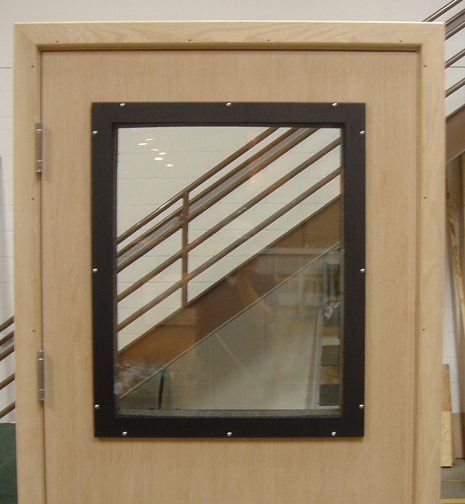 Door products are tested in accordance with the most recent ASTM E-90 standards at accredited Acoustical Laboratories. 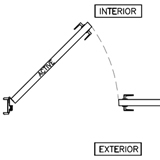 In addition to our standard frame designs, we can engineer special frame profiles to complement wall construction and architectural style. 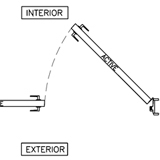 ASI will provide the necessary shop drawings, certification of test results and assistance with compliance for all industry standards. 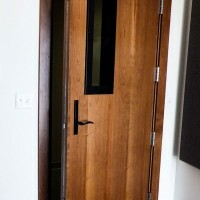 Studio 3D recording studio doors are guaranteed to be free of defects in workmanship and quality for a period of two years. 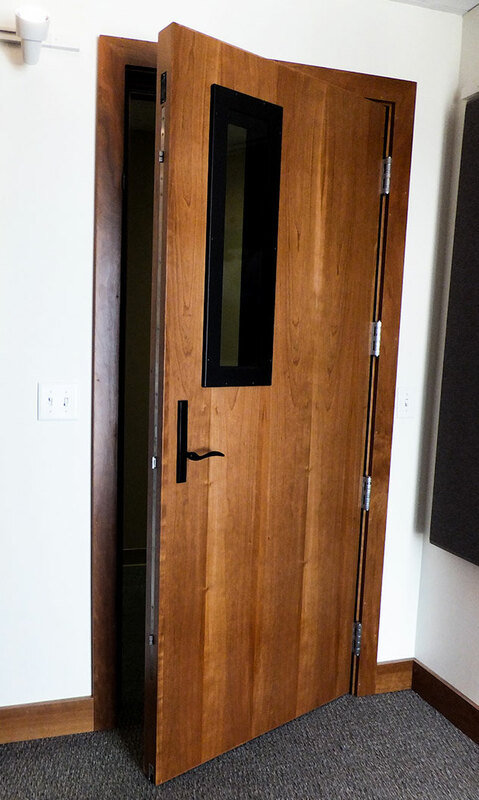 Recording studio doors are available in a flush design or with vision elite and as single or pairs of hinged doors. Select from standard or custom sizes. 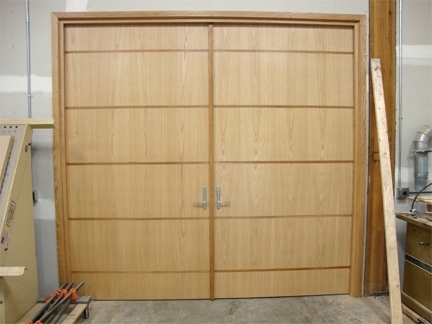 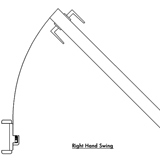 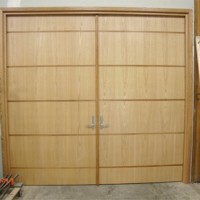 We also offer double door pairs as large as 8′ W × 12′ H.
Door, frame, trim, handle, hinges, perimeter sound seals and door bottom are supplied as part of the tested assembly. 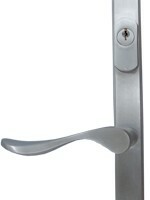 Dead bolt mortise locks also available. 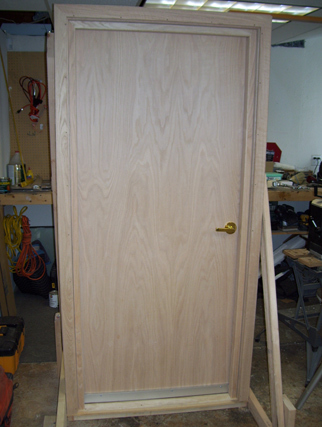 Oak, ready to stain. 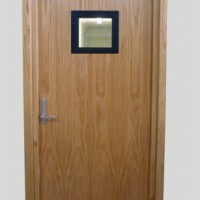 Optional maple, cherry, birch and any other wood species are available. 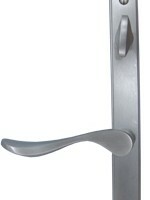 Satin Chrome standard. 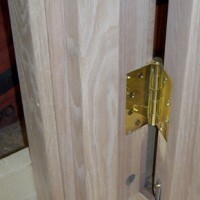 7 additional custom order finishes available. 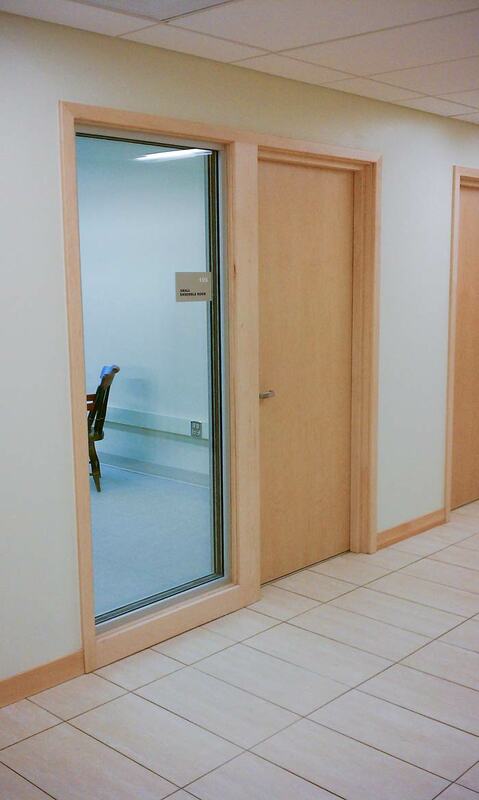 Typically 3-4 weeks. 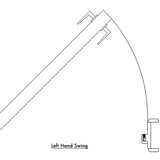 Please check with our professional sales associate to verify actual lead time.